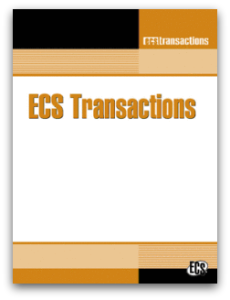 A new issue of ECS Transactions has just been published. Get Volume 68, Issues 1 of ECST Glasgow here. The ECS Conference on Electrochemical Energy Conversion & Storage with SOFC-XIV will be held in Glasgow, Scotland, on July 26-31, 2015. Additional issues of ECST from this conference will be published in the coming weeks. Learn more about our conference in Glasgow and find out more about ECST. The ECS Conference on Electrochemical Energy Conversion & Storage with SOFC-XIV in Glasgow is right around the corner. With Scotland on our minds, we thought it’d be fitting to look at some of the greatest Scottish scientists, inventors, and engineers. In spite of being a relatively small country, Scotland has produced a group of prolific and esteemed scientists. Take a look at our list and join us in Glasgow, July 26-31. Baird was one of the inventors of the mechanical television and was the first person to publicly demonstrate the color television system. Black is best known for his discoveries of latent heat, specific heat, and carbon dioxide. Chemistry buildings at both the University of Edinburgh and the University of Glasgow are named after him. 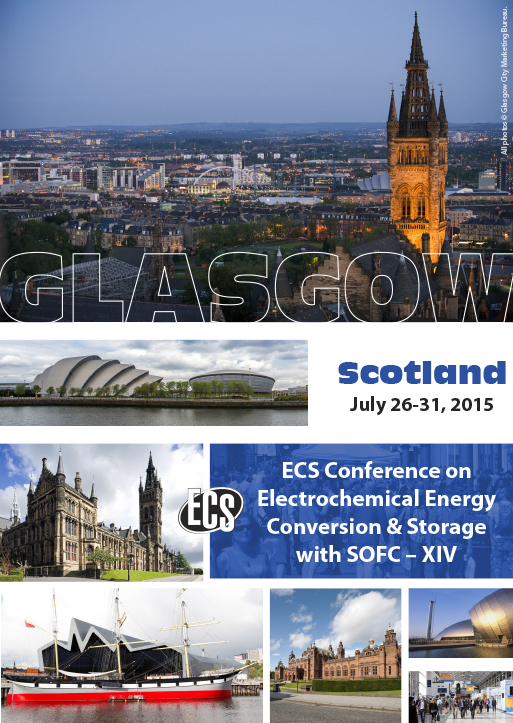 Registration for the ECS Conference on Electrochemical Energy Conversion & Storage with SOFC-XIV, convening in Glasgow, July 26-31, 2015, is now open. 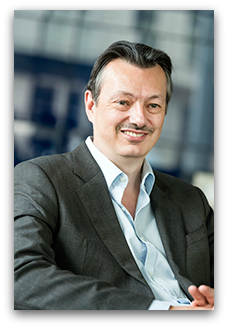 The plenary session will feature Nigel Brandon, Director of the Sustainable Gas Institute at Imperial College London. Prof. Nigel Brandon OBE FREng is also Director of the UK Hydrogen and Fuel Cells Hub, and Co-Director of the UK Energy Storage Hub. He held research positions with BP and Rolls-Royce before joining Imperial College as a Senior Lecturer in electrochemical engineering in 1998. In 2000 he was a founder of the fuel cell company Ceres Power, acting as CEO to 2003, CTO to 2006 and Chief Scientist to 2009. He was appointed to the Shell Chair in Sustainable Development in Energy in 2005 and the BG Chair in Sustainable Gas in 2014. He was the UK focal point with China in energy and climate change from 2007 to 2011, and Senior Research Fellow in Energy to the UK Research Councils from 2005 to 2014. This week we’re sitting down with Subhash C. Singhal of Pacific Northwest National Laboratory (PNNL), a world leader in the study of solid oxide fuel cells and one of the lead organizer of our upcoming Glasgow conference. Listen as we explore the culture of national laboratories and industry, the future of solid oxide fuel cells, Singhal’s upbringing in India, and more! Listen below and download this episode and others for free though the iTunes Store (search “ECS Podcast”), SoundCloud, or our RSS Feed. 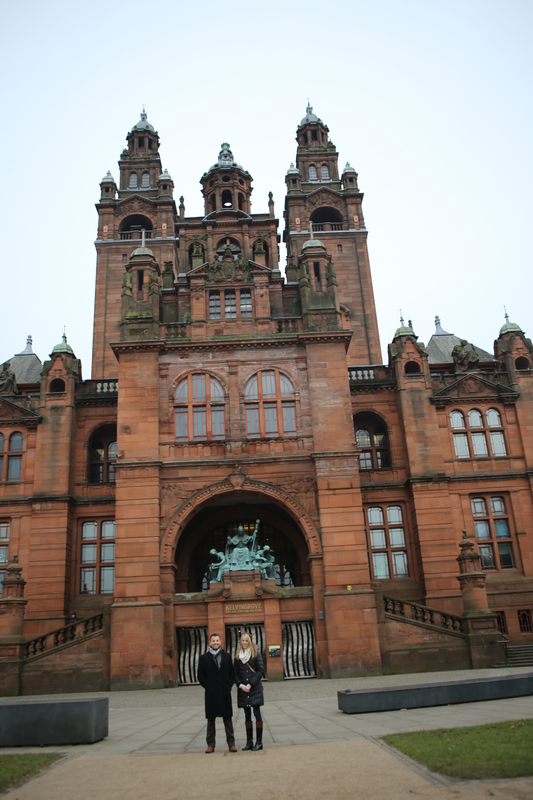 Dan Fatton, Director of Development and Membership Services and Christie Knef, ECS Director of Meetings outside Kelvingrove Museum. Last weekend, I had the great opportunity to visit Glasgow, Scotland in the United Kingdom. Christie Knef, ECS Director of Meetings, and I were scoping out the location for our upcoming conference, the ECS Conference on Electrochemical Energy Conversion & Storage with SOFC-XIV. The city is really beautiful, but also very compact and walkable. I’m excited that the conference location is extremely accessible, adjacent to the Exhibition Centre station. Even more exciting to me, there is a city bike system and in July, our delegates will be able to bike to the Scottish Exhibition and Conference Centre easily; there is a nice bike path along the River Clyde leading directly to the venue from a multitude of hotels, many of which will be offering discounted room rates for delegates. 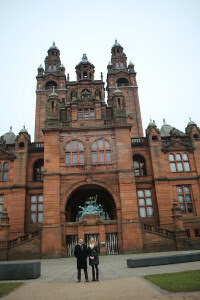 There are several other noteworthy attractions, including the Glasgow Science Centre, Kelvingrove Art Gallery and Museum, University of Strathclyde and University of Glasgow, as well as the exciting Center City of Glasgow. Here’s a less than 90 second video tour of the sites and people that make Glasgow. Not only is Glasgow easy to get around, but it’s very simple to travel to Edinburgh by train. Of note, the 2015 British Open will be held the week before our conference, and the United Kingdom’s largest art festival will begin July 30. Even if attendees cannot extend their stay, it’s less than 45 minutes on ScotRail to visit another great city for one evening; be sure to check out the historic fortress, Edinburgh Castle, and Scotland’s first university, University of St. Andrews. The deadline for abstracts is quickly approaching later this week – Friday, February 20! I encourage anyone considering attending the conference to submit your abstract now. And don’t forget, there are still exhibit spaces left with plenty of opportunities for sponsorship. Just announced are the newest speakers for the ECS Conference on Electrochemical Energy Conversion & Storage with SOFC-XIV, which will convene in Glasgow, Scotland at the Scottish Exhibition and Conference Centre from July 26-31, 2015. This is the first of a series of planned biennial conferences in Europe by ECS on electrochemical energy conversion/storage materials, concepts and systems, with the intent to bring together scientists and engineers to discuss both fundamental advances and engineering innovations. Find out more about submitting your abstract today! 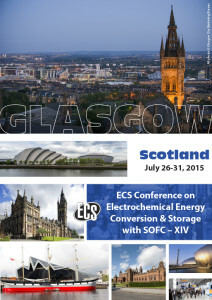 The ECS Conference on Electrochemical Energy Conversion & Storage with SOFC-XIV convening in Glasgow, Scotland at the Scottish Exhibition and Conference Centre from July 26-31, 2015 is the first of a series of planned biennial conferences in Europe by ECS on electrochemical energy conversion/storage materials, concepts, and systems. We are creating a forum where scientists and engineers can come together and discuss fundamental advances and engineering innovations. This is the first of a series of planned biennial conferences in Europe by The Electrochemical Society on electrochemical energy conversion/storage materials, concepts, and systems, with the intent to bring together scientists and engineers to discuss both fundamental advances and engineering innovations. This major international conference will be held at the Scottish Exhibition and Conference Centre in Glasgow and includes a full day of short courses followed by a Sunday evening welcome reception, technical presentations scheduled Monday-Friday, a dynamic technical exhibit, poster sessions, guest and award winning lecturers, and much more. Please visit the Glasgow meeting page for the most up-to-date information regarding hotel accommodations, registration, short courses, special events and to review the online technical program. Friday, February 20, 2015 – Deadline for submitting your abstracts. Submit now. Take advantage of exhibition and sponsorship opportunities, submit your application by April 24, 2015. Discounted hotel options will be available until June 15, 2015 or until the blocks sell out, reserve early! Early-bird registration opens in March 2015, early-bird pricing will be available through June 15, 2015. PS: Don’t forget, as a meeting attendee you are eligible for an Article Credit which allows you to publish a paper with ECS as Open Access with no further payment from either you or your institution. Find out more! 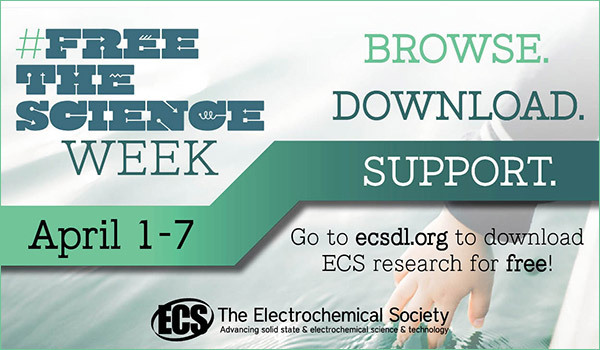 The ECS Conference on Electrochemical Energy Conversion & Storage with SOFC–XIV is an international conference convening in Glasgow, Scotland, July 26-31, 2015. It is devoted to all aspects of research, development, and engineering of solid oxide fuel cells, batteries, and low-temperature fuel cells, electrolyzers, and redox flow cells. This international conference will bring together scientists and engineers to discuss both fundamental advances and engineering innovations. See the Call for Papers for detailed information about the symposia, manuscript submission requirements, and financial assistance. Be a sponsor or exhibitor.